The big difference is the 4 new 15.1 inch displays. In the central 4 inch gap between display 3 & 4 has been squeezed a smaller gear lever along with a lock override button, alternate nosewheel steering selector, gear indication lights and placard speeds. The ISFD is above the gear panel. The flap position indicator is now part of the electronic displays. The autobrake and MFD selectors and brake pressure gauge have moved down to the Forward Aisle Stand (in between the FMCs). 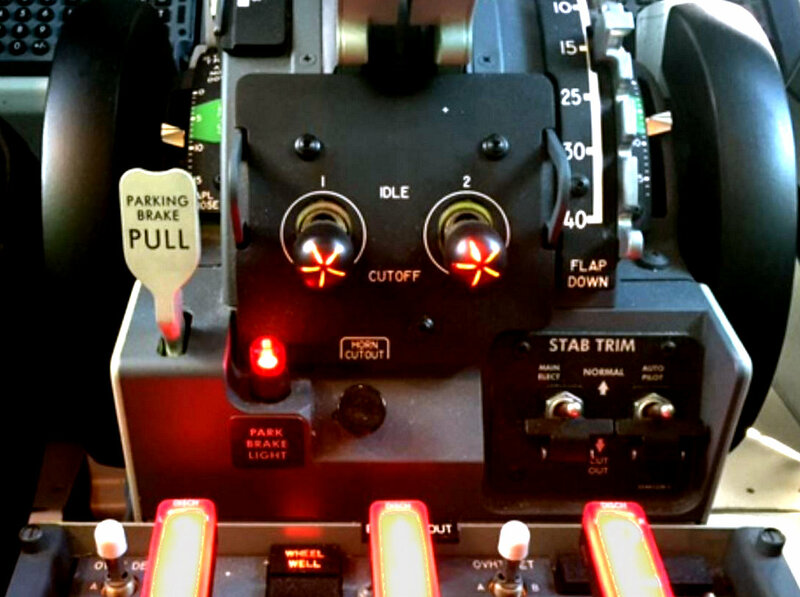 The PFD/MFD transfer switches are on the lighting panels in front of the control column. The Forward Aisle Stand has been extensively changed as the lower DU on the NG has now been integrated into the large format displays (follow this link for more details). 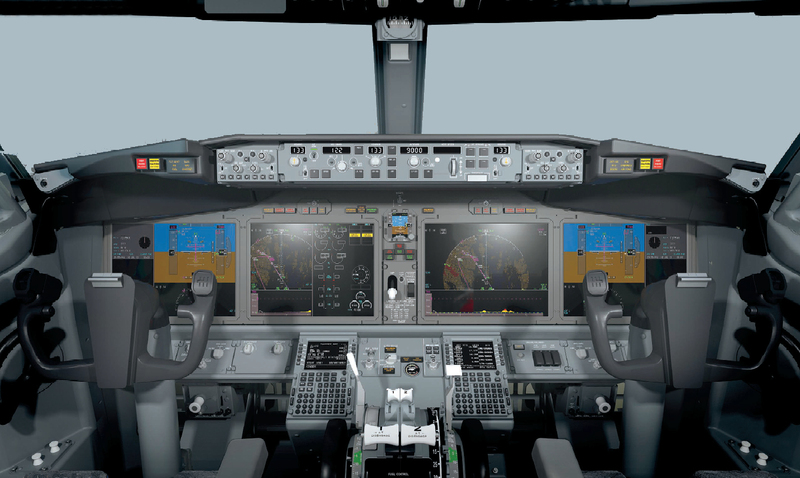 Some of the centre instrument panel differences are shown here. 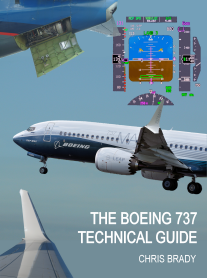 For details of 737 MAX Flight Instruments click here. The engine start levers have had their first change since the 707. They are now lever-rock toggles switches. They have moved to the left slightly and the lightplate has also been changed. Trivia point for you, the little white cross on the (any) lightplate shows the location of the earthing point behind it. Press it there if the lighting is intermittent or goes off. The engine start levers (switches!) will now illuminate when the associated engine fire switch has illuminated. The park brake light is now LED and smaller and has been dropped down by a couple of cm to give more room to operate the Engine 1 start lever/switch. The parking brake lever has been reshaped.